Vegetarian, vegan, gluten free, raw, low-carb — the number of different eating habits you can encounter amongst a group of friends can make even the most seasoned chef shudder. But having a list of side dishes in your arsenal that everyone can enjoy, like cauliflower buffalo bites or a seven-layer salad, can make all the difference in the level of your party's success. 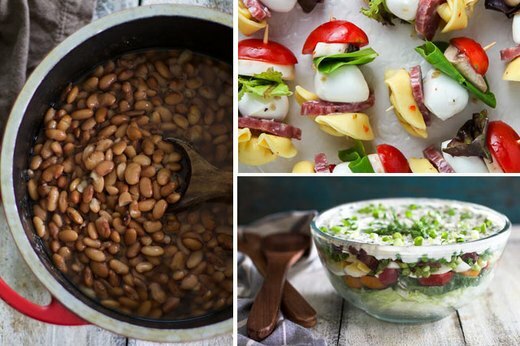 And since any party takes a great deal of effort to pull off, these 10 recipes will make the dinner details a cinch. Now you can impress your vegetarian and meat-loving guests with the same dish. 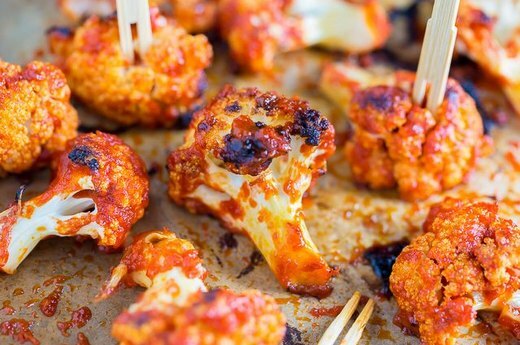 Put out a plate of these irresistible cauliflower buffalo bites and watch them disappear in less time than they took to make. Just don't forget the blue cheese and celery sticks to go with them. Boil a big pot of pinto beans and offer an array of topping options like cilantro, green onion, cheese and avocado. These tender beans are the perfect blank canvas that are waiting to be dressed up and devoured. 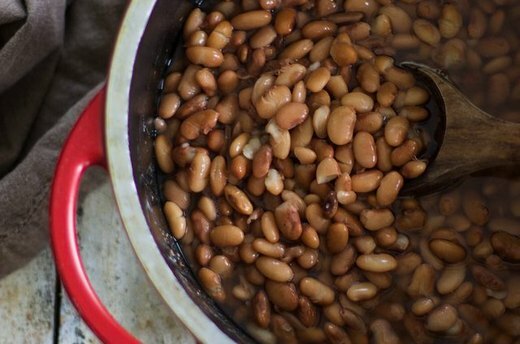 And don't worry if you don't have time to pre-soak your beans the night before, this recipe works either way. There's nothing more decadent than a wheel of gooey, melted brie, but getting it right can be tricky. Start out by buying a "double cream" wheel, since the "triple creams" can be too runny. Don't start making this until your guests actually arrive, though, since you'll need to serve it as soon as you take it out of the oven. 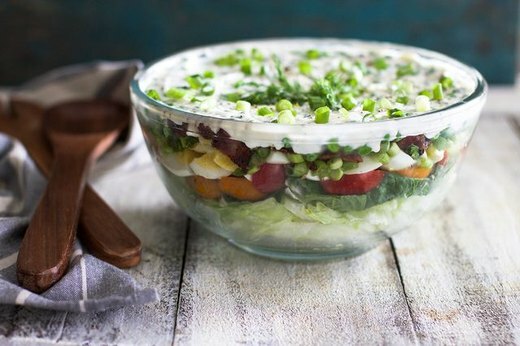 Don't bother serving a boring chopped salad when you can wow your friends with this seven-layer beauty instead. Change up the layers to your liking, as long as you start with the lettuce on the bottom and finish with the dressing on top. Make this salad up to a day in advance, and give it a toss when it's time to start the party. The next time you host a party, ditch the pot roast and serve breakfast instead. 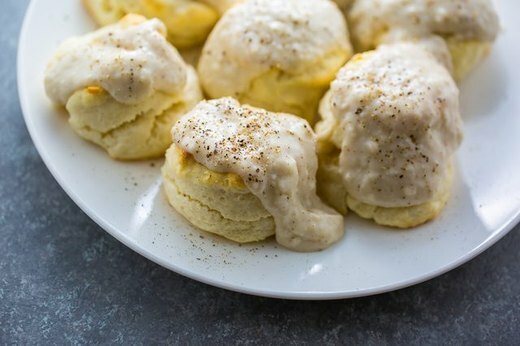 Things like scrambled eggs, bacon and these biscuits topped with thick gravy are easy to make, and they're ideal for feeding a crowd. Breakfast is served! 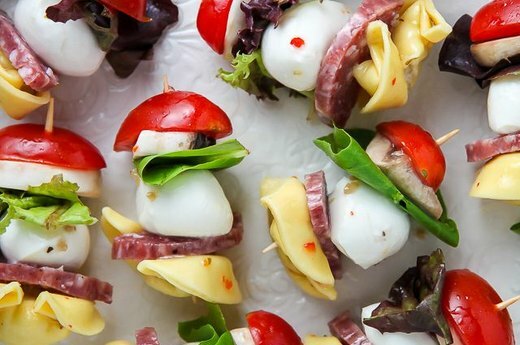 These antipasta skewers are not only tasty, they'll add a pop of color to your table, too. Grab the kiddos when it's time to put these together, since it's the perfect task for them to help with: all they need to do is layer cheese tortellini, salami, mozzarella, lettuce, mushrooms and tomatoes on toothpicks. 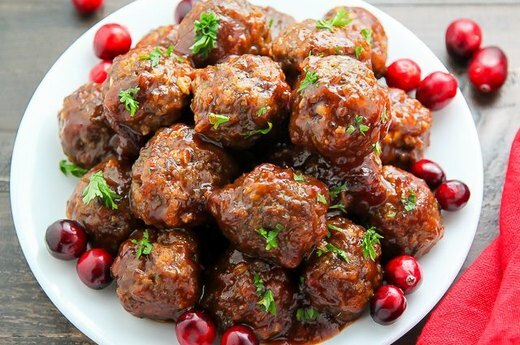 Savory and sweet all in one bite, these cranberry meatballs hit all the right notes. Take your favorite tried-and-true meatball recipe, then bake them and coat them in a thick cranberry barbecue sauce. You better go ahead and double the recipe right off the bat because the first batch isn't going to last long. 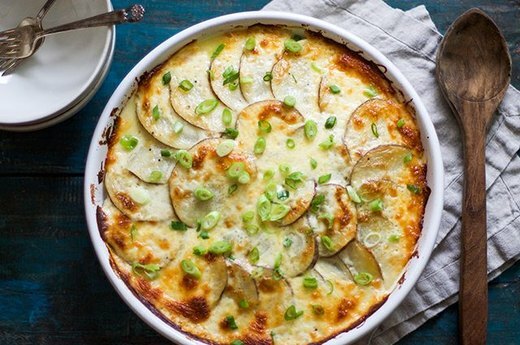 Whip up a classic potatoes au gratin with alternating layers of thin slices of potato and white onion. Add a delicious cream sauce and a handful of shredded cheddar cheese, and then bake until browned and bubbly. Your guests will feel so at home, they may never want to leave. 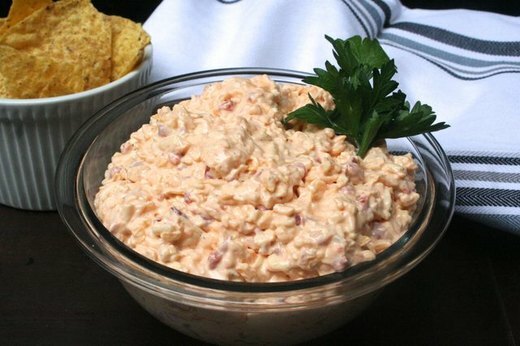 You can't go wrong with a pimento dip that's made with 3 different cheeses. Especially when that dip tastes good on everything from fresh bread to tortilla chips. Put your willpower to the test and chill the dip for 2 hours before digging in — the waiting is the hardest part.